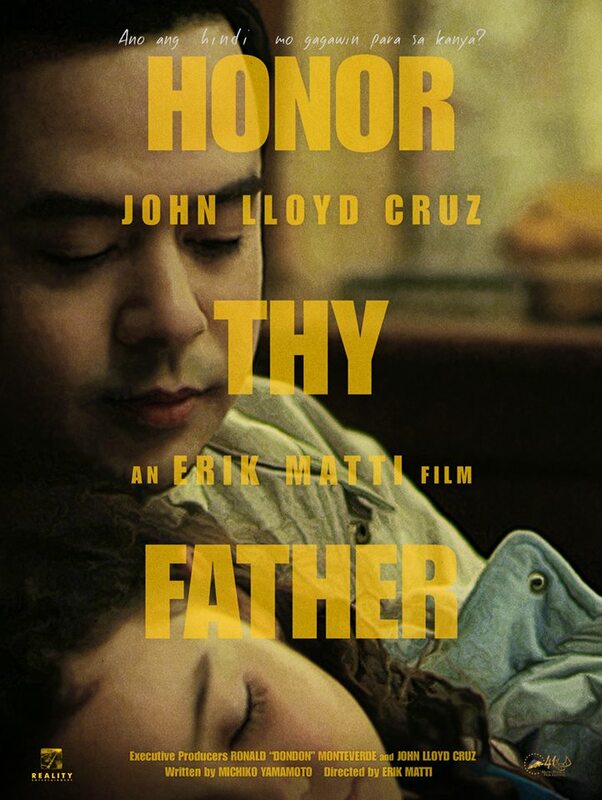 As promised on My Bebe Love review post, I watched Honor Thy Father with the ReigningTatay last Tuesday. As I've said, I really love MMFF. I watch as much movies as possible. And while most of the time, the comedy films would get all the opening day box-office, usually those films with more substance would get noticed after the awards night or a week after Christmas. Kasi usually, after ng mga bagets, tayo naman ang manonood ng movies. Right? So I really understand why Honor Thy Father producers are really devasted with their disqualification. Coz honestly, movie goers like me are checking out the award winning films and then watch it. But I guess this film doesn't need the Best Picture trophy to get noticed. Kasi word of mouth lang, pak na pak na sila. Everyone who watched this film earlier than us only has good words for the film and after watching it myself, I understood why. Oh my gosh! This is the kind of film you'd be really really proud of if you are a film maker or an actor. Technically, it was masterfully done. Great cinematography. I have to commend their director for photography for doing a fantastic job. Wow! Yung timpla ng kulay sa screen, yung shots, lahat perfect. Hollywood levels. I swear! Very obvious that the director is top-notch. Hindi basta basta. The actors. Wow! Just wow. Napapailing nalang ako sa galing ni John Lloyd. Now I have to watch #WalangForever to know why Jericho won. Hahaha! Meryl also did a fantastic job. Oh my gulay. Story-wise, grabe lang. Stressed na stressed ako while watching. But the kind of stress na masaya naman. The ReigningTatay just won't shut up about this film. The lines are super memorable. And I love that it was written with a touch of humour. Not boring at all. The film talks about a father's love to his daughter and his wife. It talks about blind faith. About humanity. About the extent of what a father could do for his family. It shows that family will always be family. Iwan mo man sila. Talikuran mo ng mahabang panahon. Pag oras ng kagipitan, hindi ka nyan iiwan. Kahit sa ilalim pa ng bumabahang imbornal. Ayoko masyado magkwento coz I want you to watch. I swear hindi kayo magsisisi.